Navigating the unique cultural and religious needs of your patients can be unnerving. You could accidentally offend your patient or their family by not knowing about a crucial cultural practice or you could could witness something that goes against your personal beliefs or convictions. Everyday routines that the predominant culture takes for granted such as time orientation, eye contact, touch, decision-making, compliments, health-beliefs, health-care practices, personal space, modesty, and non-verbal communication can vary dramatically between cultures, sub-cultures, and religions. Practices that might be considered unethical to an autonomous American (e.g. allowing a family member to speak for and dictate all medical care and decisions for an aging parent), or disrespectful/suspicious to a Caucasian (e.g. avoiding direct eye contact), or curious to a nutritionist (e.g. not allowing a child to eat heated foods when they have certain illnesses), could be the acceptable practice of your patient’s culture. The trend of today’s healthcare leans toward being more inclusive of personal and cultural preferences. This demands a knowledgeable and open response from caregivers. What can we, as nurses, do to facilitate this trend toward honoring individual choices and beliefs, even when we are not fully aware of them? By incorporating three practices, we can make these interactions both easier and more successful. One of the most important elements emphasized in pursuit of competent cultural care is identifying your own beliefs and culture before caring for others. According to Culture Advantage, an organization formed to help individuals develop cross-cultural awareness and communication skills, “Caregivers are expected to be aware of their own cultural identifications in order to control their personal biases that interfere with the therapeutic relationship. Self-awareness involves not only examining one’s culture, but also examining perceptions and assumptions about the client’s culture.” Developing this self-awareness can bring into view the caregivers biases or culturally-imposed beliefs. It can also shed light on oppression, racism, discrimination, and stereotyping and how these affect nurses personally and their work. To the outside observer, this could seem primitive, superstitious, or even bogus, but to the participant, these rituals are rich with meaning and even healing. A successful physician with more than forty years of experience in family medicine recently told me, “I frequently tell my patients that the key to healing is loving and accepting yourself.” What an insightful statement. 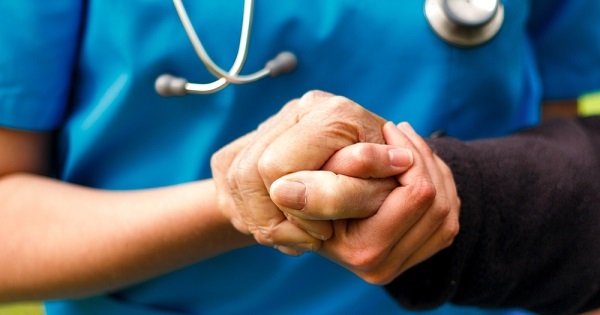 Acceptance becomes a powerful tool, but one that demands solidarity between nurse and patient. How can patients love and accept themselves in ways that promote healing if we, as nurses, are not willing to offer them acceptance in their myriad of problems and complexities? Through the simple act of acceptance, nurses can become an agent of healing, whether or not they are aware of it. This is the premise of Margaret Newman’s nursing theory, “Health as Expanding Consciousness,” whereby through the nurse’s presence and acceptance, the patient becomes empowered during times of personal duress or chaos to make lasting changes that promote hope, well being, and an increasingly satisfying state of “health”—one that is not dependent upon the absence or presence of disease. In other words, healing has meaningful implications that reach beyond the current medical model’s definition as “the absence of disease.” As the patient is able to articulate meaningful events of life and to be heard without judgment, he or she becomes more conscious or “awakened” to patterns that have blocked health progress, and therefore able to choose transformational behaviors, with the continuing support of the nurse. 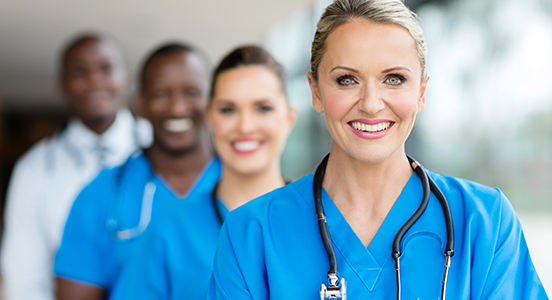 There is no way nurses can be expected to be aware of and practice cultural sensitivity at all times, because most religions and cultures have been developed over centuries and are replete with practices that carry symbolic meaning. When in doubt, the best way to provide sensitive care to patients of diverse cultures is to ask. When you initiate care during your initial assessment, ask if there are any cultural or religious practices or beliefs that you need to know about in order to respect and support their needs. Many of them are used to living out their own subculture within the greater American culture and they will probably know by experience how to educate you on their care. If they are unsure or unaware of their unique needs in the healthcare setting, reassure them that you are willing to adjust your care based on their values if they do become aware of any issues. Encourage them to communicate those needs to you as they happen arise. The trend in healthcare is to allow for more liberty in patient choices and involvement, as well as the ability to carry out their normal practices as much as possible. Sensitive cultural care is not just a phenomenon that takes place when occasionally encountering foreigners in the hospital or providing care to someone of a different religion. It is the result of the awareness that everyone belongs to a unique subculture based on beliefs and practices and the mindful consideration and space given each and every patient. The conscientious nurse can affirm, respect, and nurture all patients through deliberate awareness, acceptance, and asking.